My younger brother was recently confirmed. In the Catholic church children are baptized as babies through the will of their parents and they receive the Holy Spirit. In Confirmation which usually takes place in 8th grade is when the teen decides for his or herself to make their faith their own and receive a greater infilling of the Holy Spirit when the chrism is used to seal the holy spirit at the hands of the bishop. 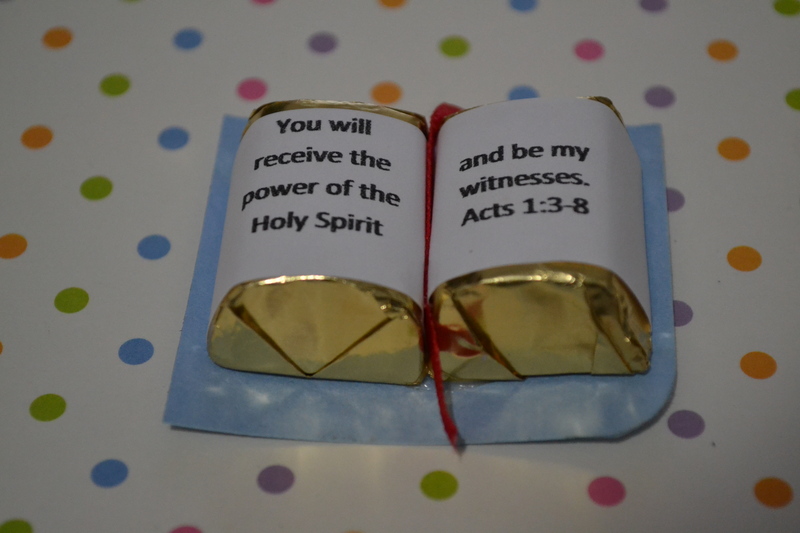 We also had a lovely dinner party for him which included these awesome custom wrapped chocolates. 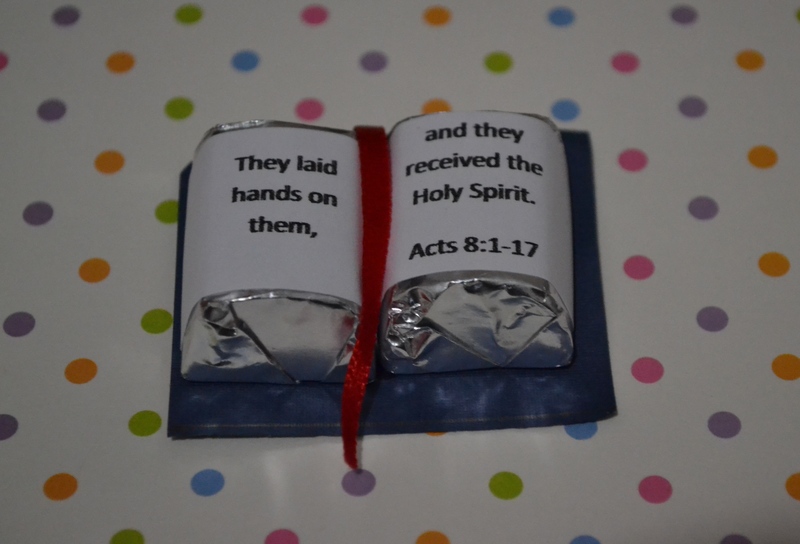 My Mom made these custom scripture chocolates for my brother’s party. 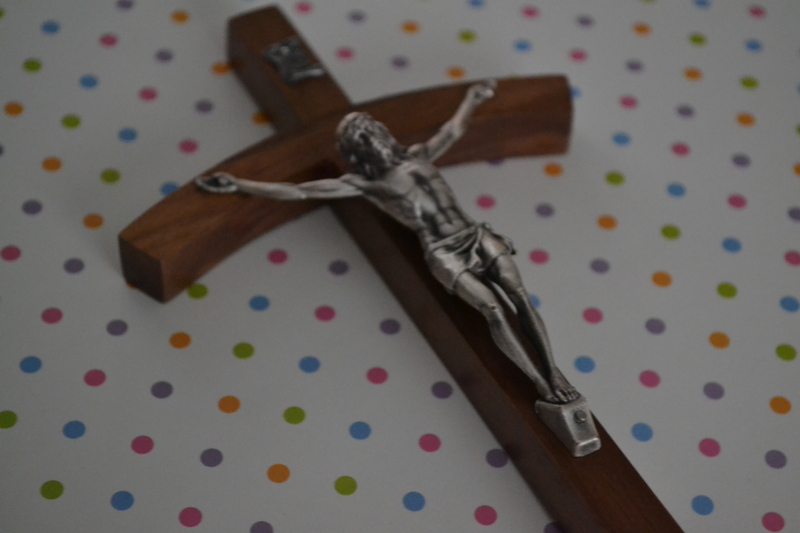 The crucifix my older brother and I bought for him. Morning sunlight on the eggins – anyone see Joker? 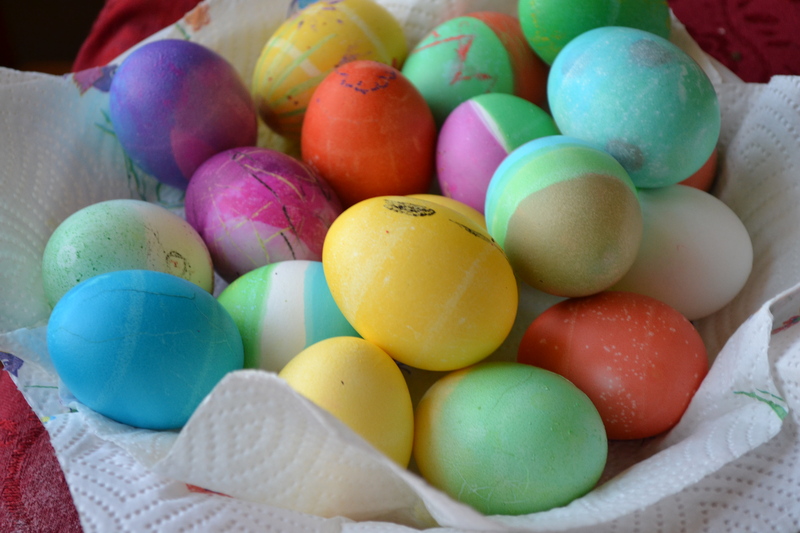 Here our the fruits of our egg coloring labors yesterday. Don’t they look lovely? 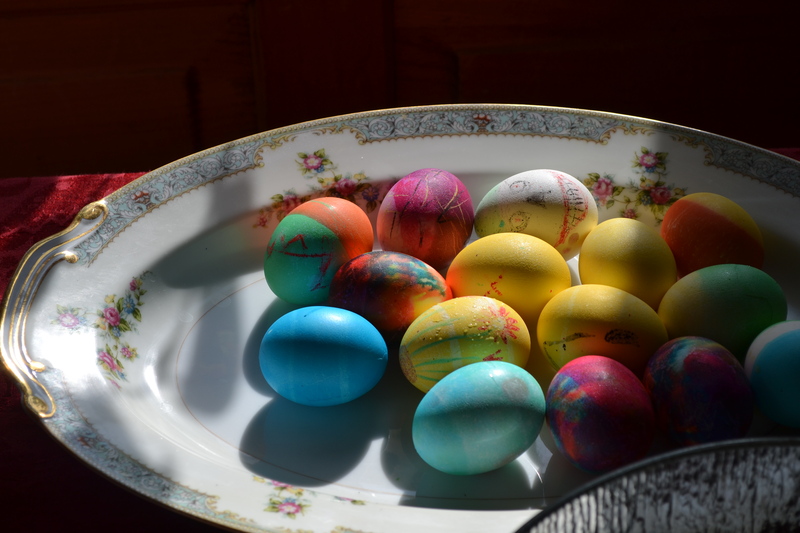 Our favorite Easter tradition was taken from a Polish parish our family were members of many years ago. This is a memory maker everyone. No child is immune from this. 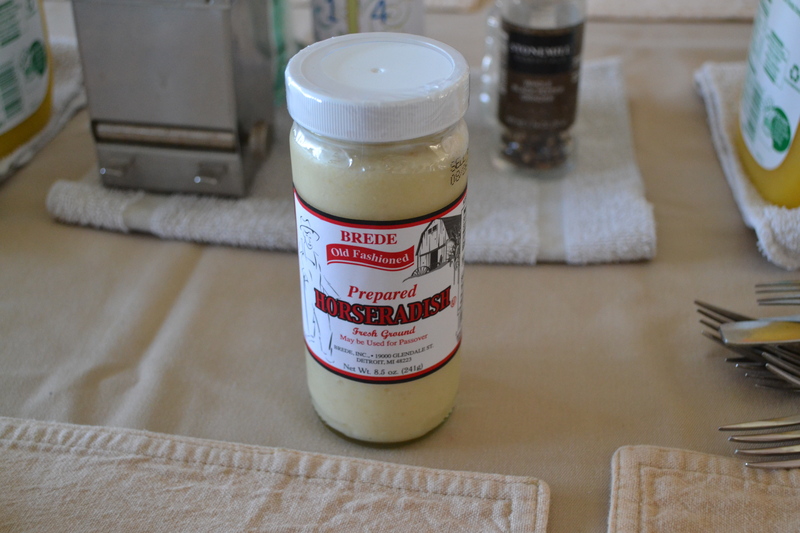 Everyone must consume a bit of ground horseradish before they receive their Easter basket. It is hilarious to watch but more importantly it also represents Christ’s bitter passion and death on the cross which had to be accomplished before opening the gates of heaven. Happy Mother’s Day to all moms and moms-to-be! Thank you for wiping our tears, encouraging our smiles and sticking with it because you know we are the future and we are worth it!!! 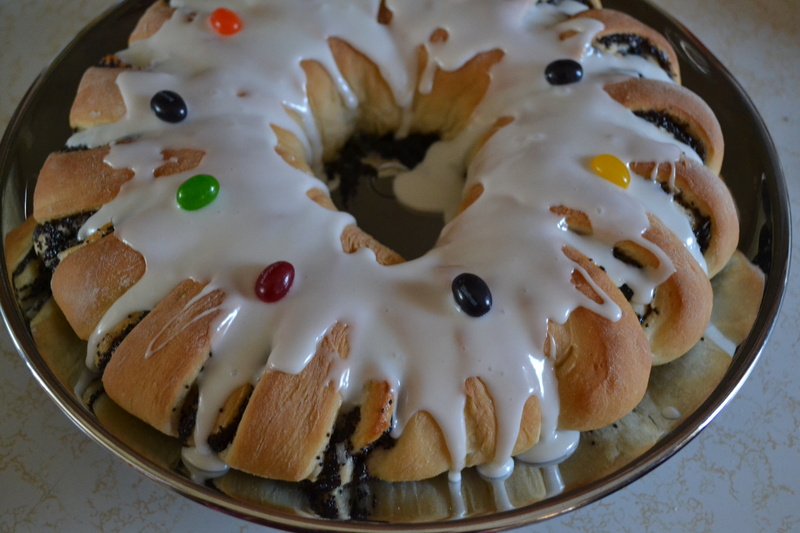 Celebrating 10+ Followers on Twitter!